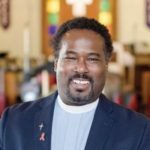 In partnership with the Center for American Progress, the National LGBTQ Task Force, Freedom for All Americans, ACLU of Michigan, Equality Michigan and Inclusive Justice (Michigan’s progressive faith organizing council), I have continued my work with four African-American organizers who did outreach with several Black churches in the state. These organizers approached these churches on the topic of LGBTQ equality using the Umoja curriculum and film resources as well as the Liberating Religious Liberty curriculum. Their main objective was to identify African-American faith leaders who will be willing to speak publicly in favor of LGBTQ equality and against harmful legislation against the LGBTQ community. Jesus challenged the interpretation of the letter of the law and he was labeled a sinner/transgressor. Abolitionists and Civil Rights leaders challenged the interpretation of the law of the land and they were labeled outlaws. SO … When LGBT people challenge the interpretation of the Bible and the laws of our land that would diminishes their humanity and legal standing, why are they labeled people who are abominations in the eyes of God? We wanted to illustrate that LGBTQ people have the right to stand up for themselves and that people of faith have a moral obligation to support them. This proved to be very effective. Currently, I am working with the Freedom For All Americans to educate federal policymakers with a base in Michigan and those interested in becoming federal policymakers about the harms caused to LGBT people by discrimination and the need for a federal response to anti-LGBT discrimination. Identify 20 or more clergy and faith leaders to join in press conference. Prepare recruitment materials for these clergy to join our efforts in speaking with policymakers. Using my current four Organizers as well as inviting other clergy to join this effort, we will have non-lobbying, educational meetings with federal policymakers (and their staffs) in Michigan Districts 9,11, 13 and at least two federal policymakers in Michigan swing districts 3 and 8. Using the Liberating Religious Liberty curriculum, we will ensure each participant can concisely speak to the importance of nondiscrimination protections and the reasons why onerous religious freedom exemptions are unnecessary. We also plan to attend town halls, public meetings or other forums where federal policymakers and/or those expressing an interest in becoming federal policymakers are present to raise the harms caused by anti-LGBT discrimination and the need for a federal response. Freedom for All Americans Education Fund will work in partnership to track these public events of federal policy makers and identify opportunities for supporters to engage with policymaker or staff. In Spring 2019, we will engage supportive congregations in letter writing campaign in support of LGBT nondiscrimination protections and organize clergy supporters to deliver letters to federal legislative offices by end of June 2019 and utilize opportunity for earned media coverage.